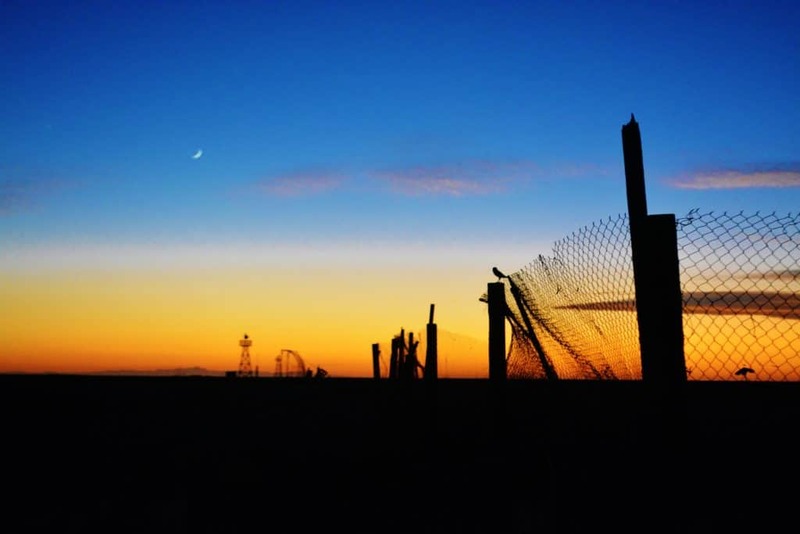 Friends and family in Arizona have long raved about Puerto Peñasco—the place where the Sonoran Desert meets the Sea of Cortez. 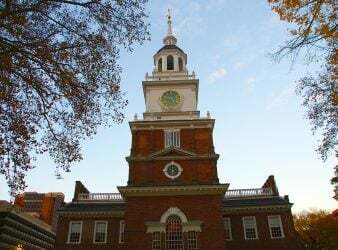 So, it was time I checked out this place out for ourselves. 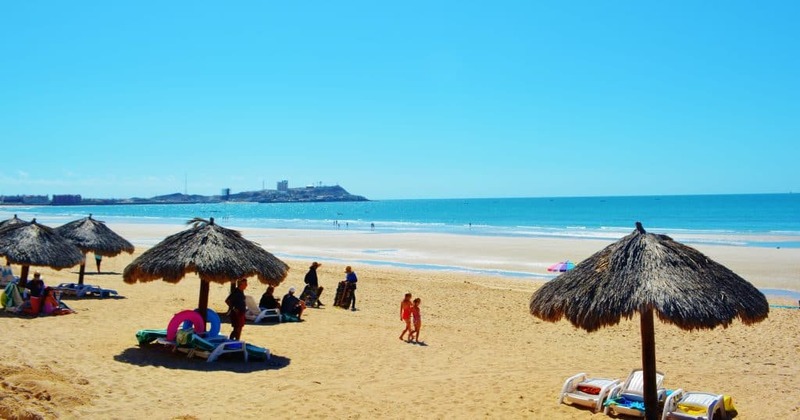 Located just 3 ½ hours from Phoenix and Tucson and 6 hours from San Diego, Puerto Peñasco (known by the English translation of Rocky Point) is a small fishing village that’s transformed itself into a popular Mexican destination. Lovingly called “Arizona’s beach” by many of its U.S. neighbors, the seaside destination is more than worthy of a visit. It was in 1826 that Lieutenant Robert William Hale Hardy of the British Royal Fleet was sailing by the coast searching for pearls. When he spotted the rocky land jutting out into the ocean, he named it, most appropriately, Rocky Point. When your place is located right on seductive Sandy Beach, it’s got to be a good thing. Add spectacular views of the resort pools and the sparkling azure waters of the Sea of Cortez— and that sets the stage for a perfect stay. Las Palomas Beach and Golf Resort villas feature anywhere from one to four bedrooms, full kitchens, living rooms and spacious lanais making the seaside resort a splendid choice for couples, friends or family getaways. 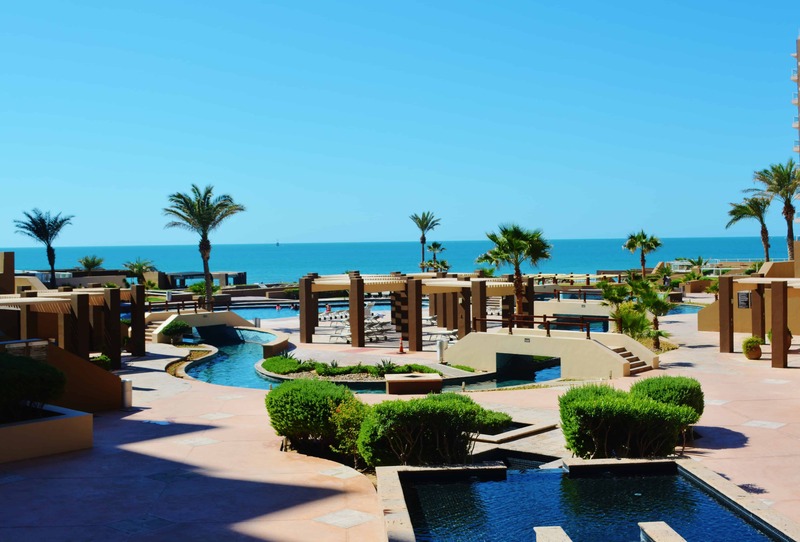 Puerto Peñasco is all about the water and with Las Palomas infinity pools, swim-up bars, water slide and lazy river, there’s plenty of opportunities to unwind and unplug. Activities at the resort celebrate the Mexican culture and the blessing of its location right on the water. Kids and adults alike thoroughly enjoyed the piñata-making program and sand castle competitions. It was delightful seeing families joyfully working together and having so much fun. Adults into the foodie scene can sign up for lessons on how to make fresh ceviche and guacamole. Spanish classes are available to those wishing to become better acquainted and more conversant with the local language. 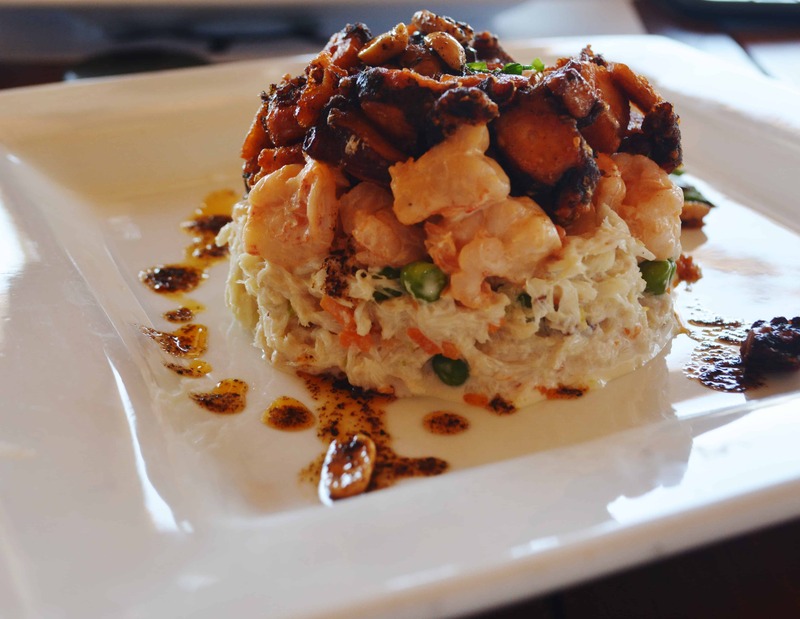 When it comes to food, Mexico has always been a mecca of culinary pleasure and it’s no different here in Puerto Peñasco. 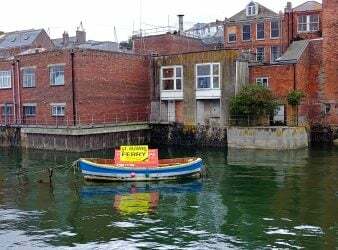 As a matter of fact, its treasures from the sea make this coastal town a foodie lover’s dream. Add in some incredible ocean scenery and it becomes the perfect dining accompaniment. 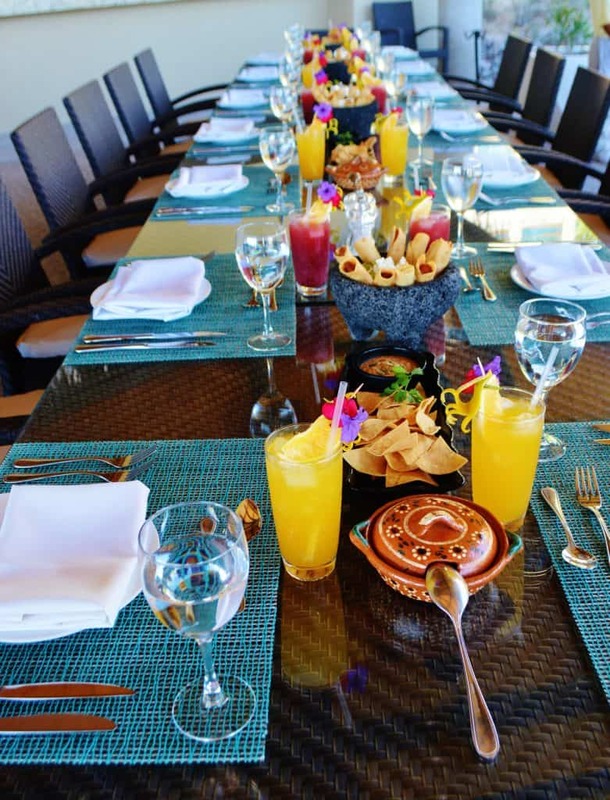 Magnificent views to forever overlooking the Sea of Cortez aren’t the only thing making this colorful restaurant perched high on Whale Hill an outstanding choice for lunch. The food here is a wonderful representation of Sonoran Mexico. When my Sangria was delivered to the table, for a moment I was torn. Though dying to imbibe, ruining a stunning piece of art seemed downright shameful. But after photos were taken, I could no longer resist. The fresh, fruity concoction was the perfect refreshment. 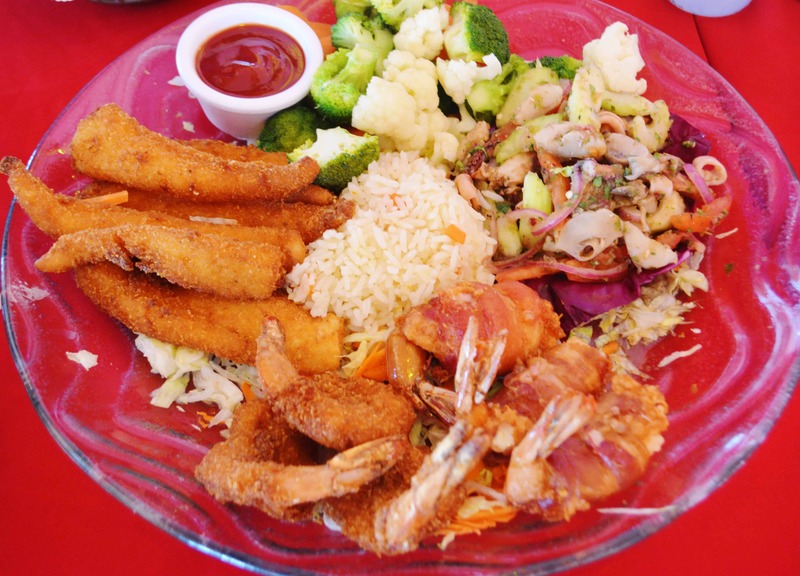 A mixed seafood plate with fresh marinated calamari salad, bacon-wrapped stuffed shrimp with Cotillo cheese and local lightly-battered fish was incredibly flavorful. Mexican music playing in the background further enhanced the setting and set the tone for a beautiful introduction to Puerto Peñasco. Lunch at thatch-roofed palm-fringed El Oktopus was nothing short of spectacular. It’s hard to believe the restaurant just had its grand opening this past May. 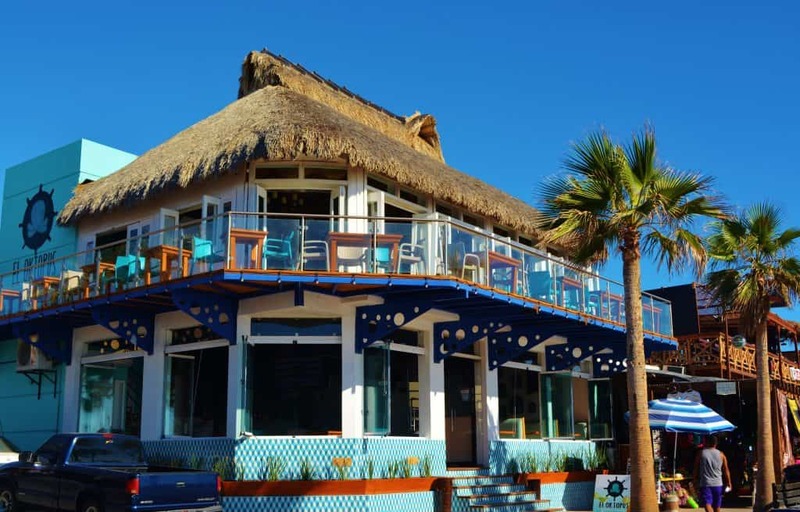 With stunning views of the Malecon, Puerto Peñasco’s lively seaside boardwalk, the restaurant’s service, and food are top-notch and their seafood as fresh as it gets. Entrees here are divine. With a creative chef and some amazing mixed drinks from the bartenders, this is a place visitors could easily spend an afternoon of enjoyable relaxation. And, yes, the people-watching was quite entertaining. Combination tasting platters of crab salad, mixed seafood and vegetable tempura, Roca shrimp with spicy aioli and multiple tuna-inspired dishes make it impossible to stop eating even with full tummies. 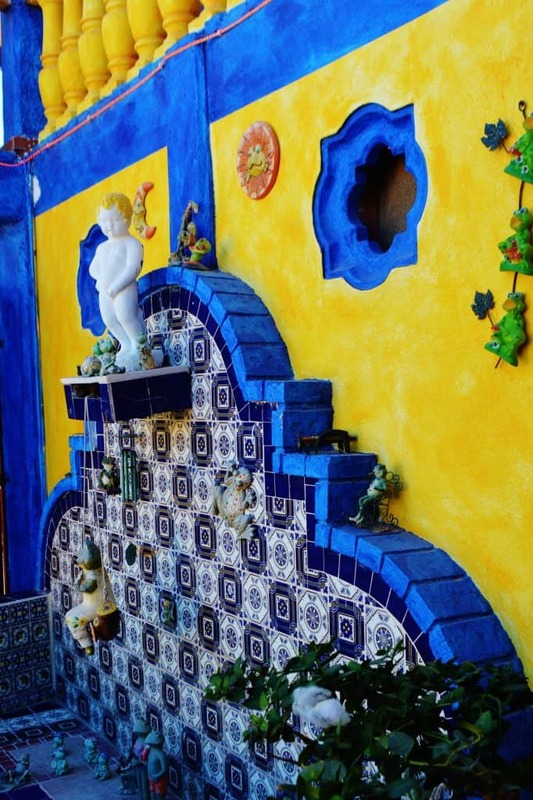 Definitely, a place that made our “yes, we’d do this again” list for Puerto Peñasco. It’s like tasting paradise at Ola Mulata, a casual seaside bistro located at Puerto Peñasco’s stunning Vidanta Mayan Palace Resort and Spa. 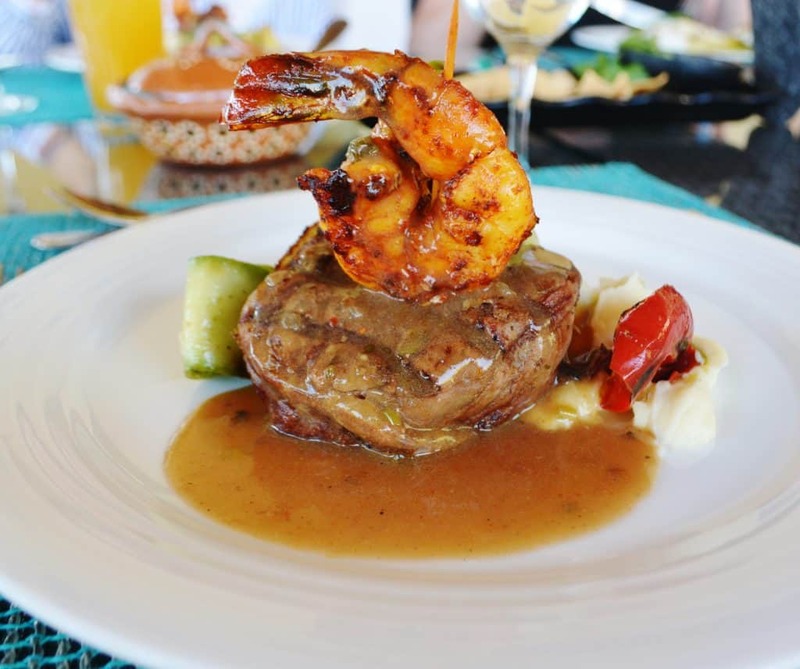 With sweeping views of a Pacific white sandy beach, palapa huts, tropical drinks and gentle ocean breezes blowing through our hair, the experience of dining here is unforgettable. Our Surf-n-Turf entrée was tender, flavorful and cooked to perfection, but we’re certain the setting made it taste like food from the Gods. 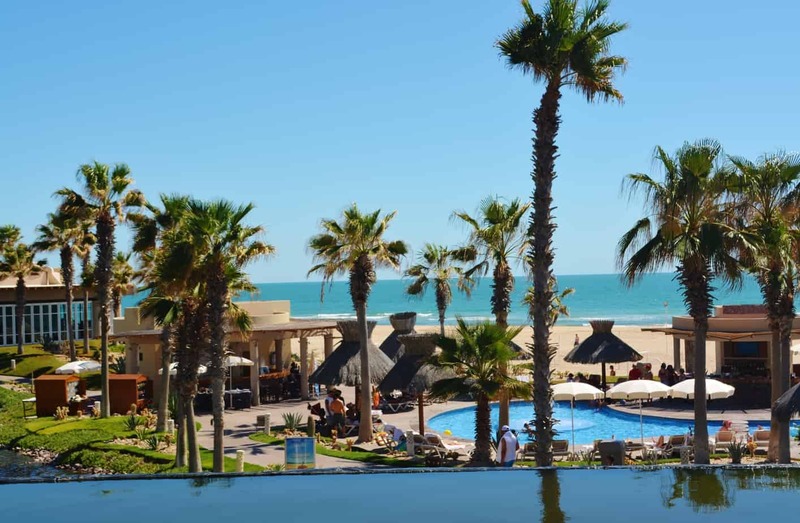 Even though Mayan Palace is located several miles from the heart of Puerto Peñasco, a visit to this heavenly destination along the Mexican seacoast is well worth the drive. Guests here can play and relax amidst the resort’s stunning décor, spectacular pools, and magnificent beach. Surrounded by unique “desert meets the ocean” topography, it’s not hard to find a cornucopia of fun activities here. 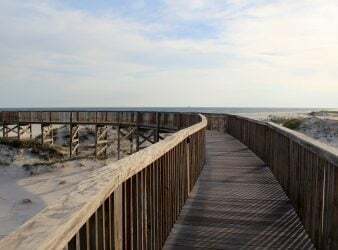 From soft and sandy beaches to rocky reefs—whether its tide pooling, crabbing, snorkeling, gathering shells, jet-skiing, parasailing or all of the above—Puerto Peñasco is truly a rich water wonderland. There’s nothing more serenely enjoyable than paddling a kayak through a 40-acre saltwater lagoon surrounded by blue skies and breathtaking scenery. 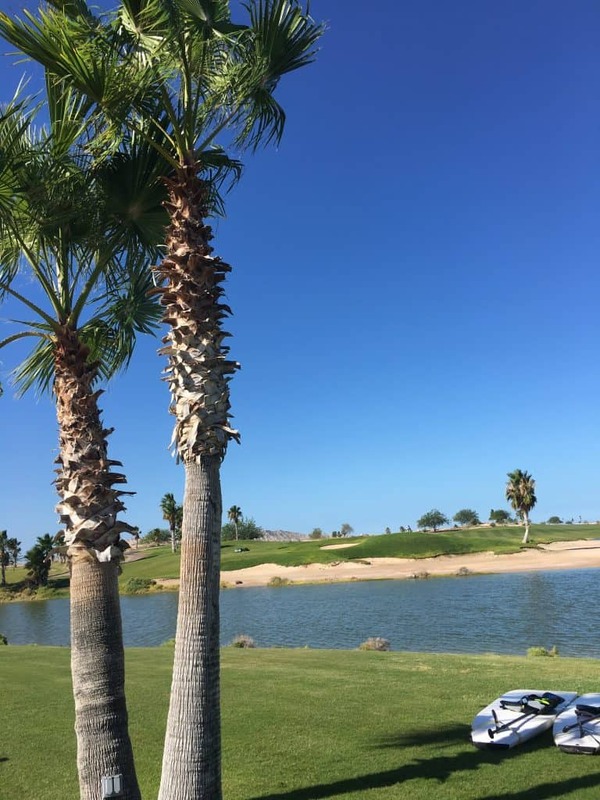 An emerald-green Jack Nicklaus Signature Golf Course is the highlight of this beautiful property, the Club at Laguna Del Mar but kayaking and paddle-boarding are popular sports here and it’s not hard to see why. Off-roading in 4×4 vehicles accompanied by ideal weather, temperature and a mixed terrain of sand, fascinating rock formations, jagged mountain ranges and ocean in the near distance provided one laughter-inspired “hub-bubbin’” experience. Buggies and four-wheelers from Javie’s ATV Rentals are gassed up, prepped and ready to go for those wanting to hit the sand dunes. We’ve been on ATVs before but somehow there was something unique about our high-action adventure through a part of the Sonoran Desert this trip. Sunsets in Puerto Peñasco are incredible and there’s no better place to view them than on the water itself. Señorita Rita’s catamaran docked in Marina Peñasco takes passengers to the open Sea of Cortez for the best possible views. Their welcoming, joyous and courteous staff served tropical drinks and tea sandwiches as smooth jazz serenaded us in the background. Margaritas and stunning sunsets—what a perfect combination in Mexico. “El Pinacate” as the locals call it presents itself as a surreal and unique landscape in the Mexican Sonoran desert. The biosphere reserve and UNESCO world heritage site happens to be one of the most significant visible landforms in North America seen from space. Comprised of two distinct parts, the dormant volcanic Pinacate Shield of red and black lava flowing to the east contrasts with the western Gran Altar Desert containing ever-changing and varied sand dunes that reach a height of over 600 feet. Ten enormously deep volcanic craters formed by a combination of eruptions and collapses contribute to the immense almost bizarre magnificence of this place. As one of the few archaeological & geological areas in the entire Southwest that remains mostly untouched by human hands, nature or development, it was here in 1970 that Apollo 14 astronauts trained for their moon landing. El Pinacate’s rough, barren landscape provided the closest match NASA could find to the lunar surface. 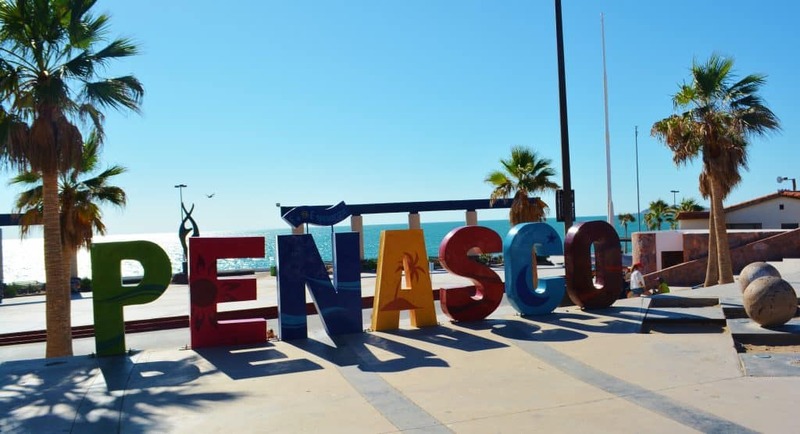 At the end of a magnificent four-day visit worthy of a repeat performance, it’s clear that in the fascinating region of Puerto Peñasco, la vida es buena. Yes, life is good.